Inspiration surrounds me in the rustic roads, patchwork fields, plants and animals inhabiting the magical landscape in Montgomery County’s Agricultural Reserve. The connection starts in my own backyard. I live in the shadow of Sugarloaf Mountain, and I've created two Sugarloaf Mountain books inspired by their beauty. Hedgerows, meadows, wooded rustic roads, and nearby woodlands connect me to the natural world. 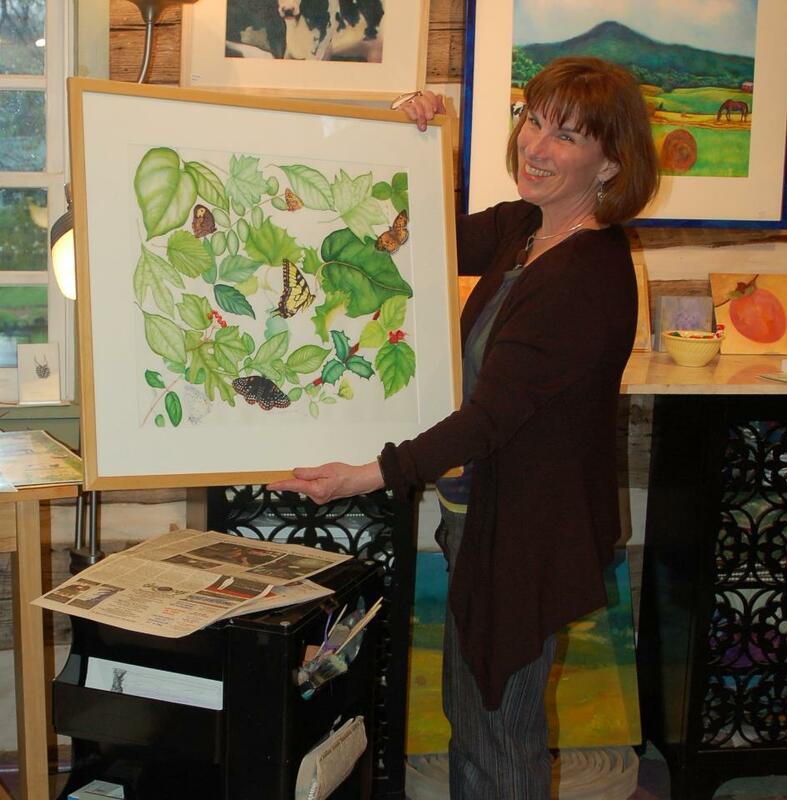 I have taught a variety of workshops at the U.S. Botanic Garden on the Smithsonian Mall, Brookside Gardens, Walden Pond, and in my art studio. I enjoy teaching people of all ages, to observe the natural world through art. I hold a BFA, a MFA, and a MLA from Washington University in St. Louis, and my professional career emphasizes a melding of environmental consciousness with art applications. Over the years, a commitment to protecting habitats from the tropics to the tundra has focused my art in field stations, from the Tropical Rainforest in Costa Rica to the Alaska coastline following the Exxon Valdez Oil Spill. That work opened my eyes to the importance of developing a connection with nature in our own backyards. Today, I am an active board member of two civic organizations in the Agricultural Reserve. I hope you will join me in the studio or outside for an art and nature adventure. I know I can’t paint a flower.